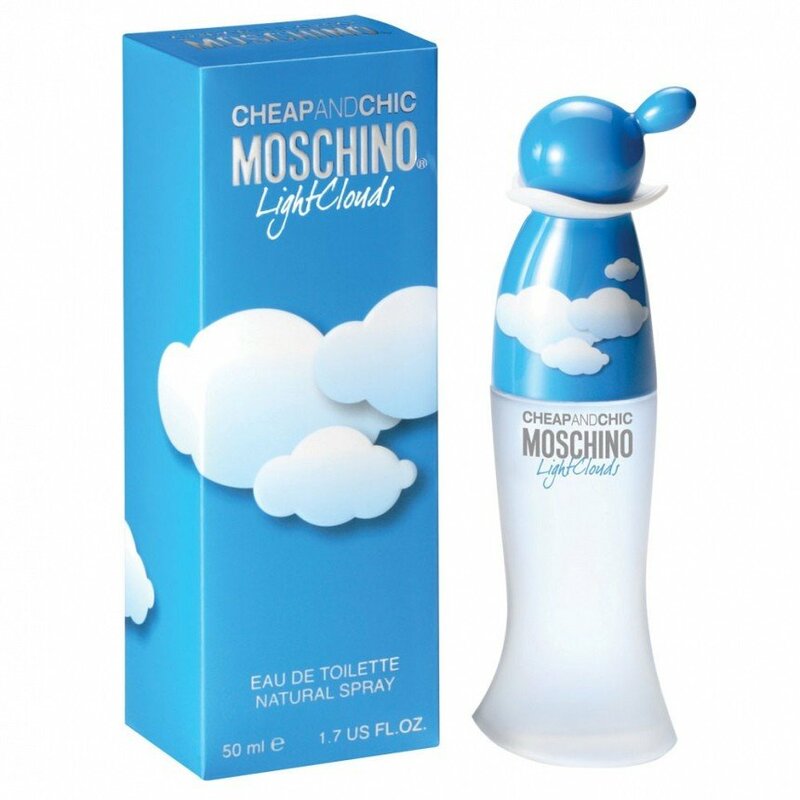 Cheap and Chic - Light Clouds is a perfume by Moschino for women and was released in 2009. The scent is fresh-floral. It is being marketed by EuroItalia. There's a lot to like about Cheap & Chic Light Clouds, mostly in the way that it's refreshing, subtly sweet and pleasing to the nose. 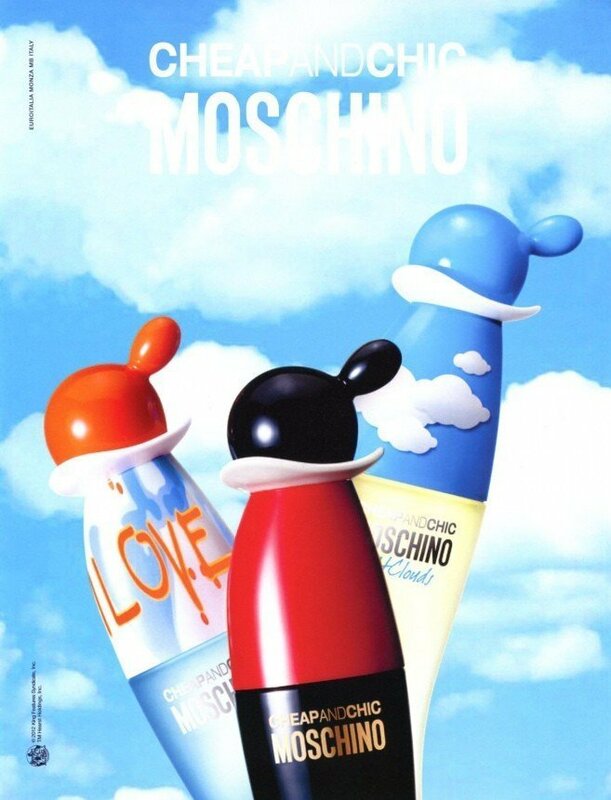 Moschino makes some lovely Summer scents, so I whole heartedly recommend the line for specific warm weather use. Light Clouds opens with what smells like mashed pears and baby powder. This is a surprisingly likable blend, especially when the peach note makes an entrance. 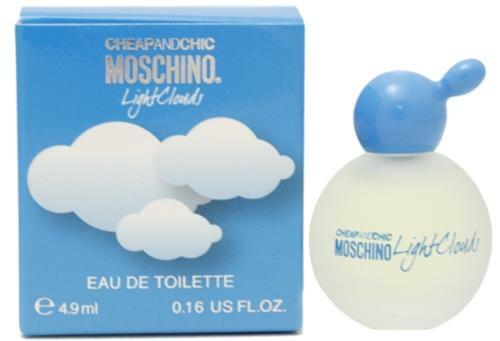 I feel lightened by wearing this fresh, clean and airy scent. The drydown takes on more of a musky skin-scent, with a cedary base that somewhat resembles D&G Light Blue. It has an undeniable comfy-ness about it that I really like, hence the reason why this fragrance is getting such a good review from me. The longevity, in all honesty could be better, but it's certainly not bad. However on clothes Light Clouds tends to hold a lot longer, scenting them with a musky citrus and peach blend. 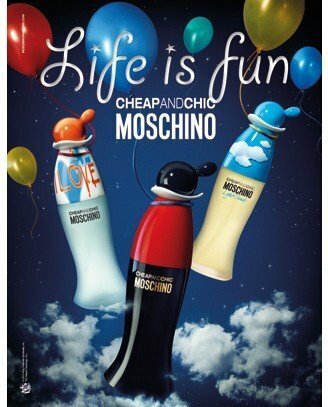 My favourite Summer scent from Moschino is still Funny!, however Light Clouds is a close runner-up.